DNG Maxwell Heaslip & Leonard has brought to the market this stunning four/five bedroom detached bungalow extending to circa 1,560sq ft of living space and presented in immaculate condition in the ever popular area of Carnmore Cross. This family home is located near the M6 Claregalway/Oranmore exit and is within just 8km of Galway city, with ease of access to all amenities making this location ideal for country living without being rural. In addition, the property is adjacent to many excellent schools such as Carnmore National School and Claregalway and Oranmore secondary schools, as well as home to many GAA and soccer clubs, restaurants, supermarkets, and churches, with Parkmore Industrial Estate, Ballybrit Industrial Estate, and all of Galway’s major employers within close proximity. Situated on c0.55 acre of landscaped gardens with the benefit of a south facing rear aspect, the home was built in the 1980s, but has undergone extensive modernisation works over the last number of years to include newly fitted kitchen and bathroom, new flooring throughout, new boiler, loft and cavity wall insulation. The house comprises an entrance hall, dining room, kitchen, sitting room with French doors to the back garden, utility, four/five bedrooms with one en suite/wet room, and a large bathroom. 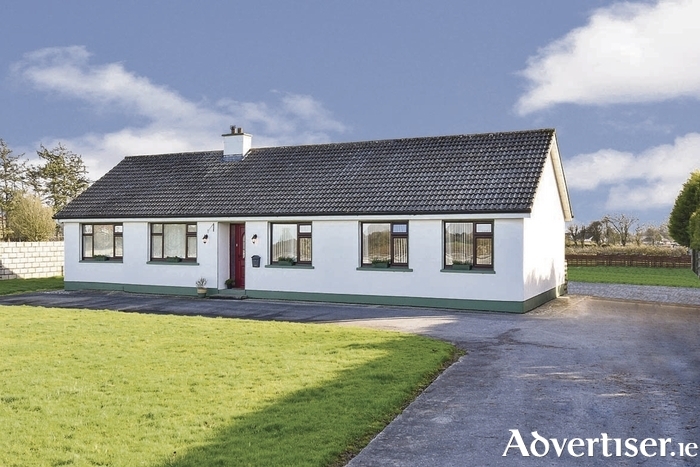 According to selling agent Fergal Leonard MIPAV TRV MCEI: “This is the perfect family home in a great location, offering country living yet only a short drive from Galway city. This property is owner occupied which is evident in the meticulous attention to detail as soon as you walk in the door, and I expect keen interest considering the fantastic location." Viewings are by appointment only and can be arranged by contacting any of the residential sales team at DNG Maxwell Heaslip & Leonard on 091 565261. Page generated in 0.1139 seconds.